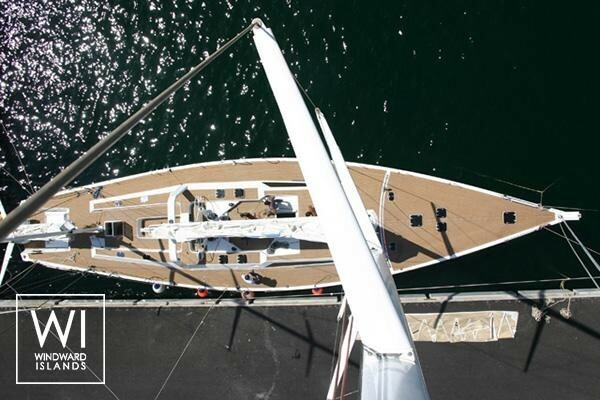 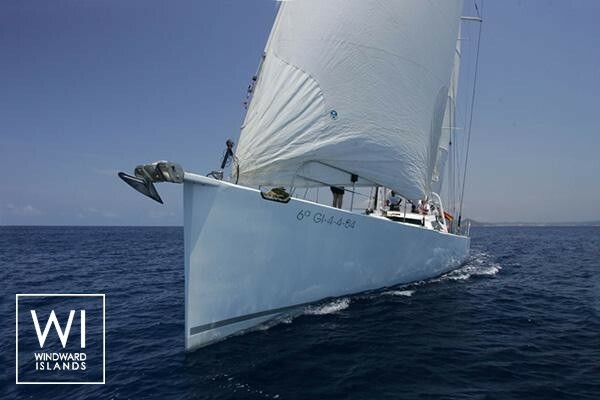 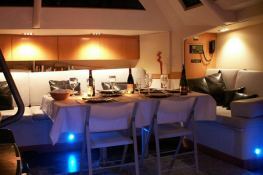 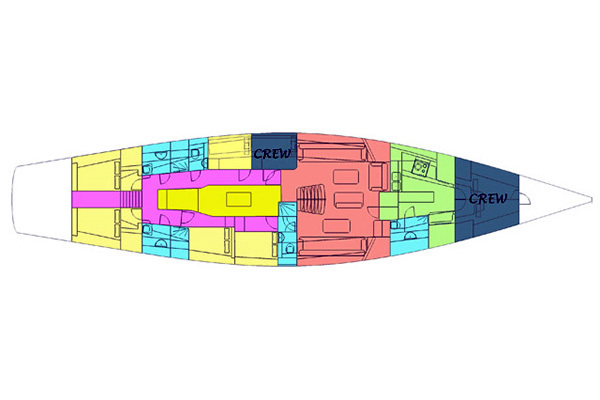 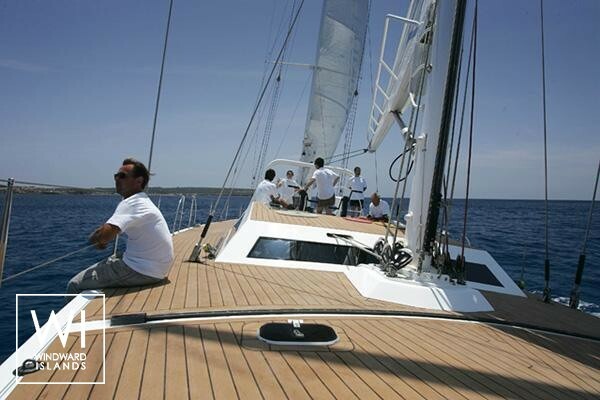 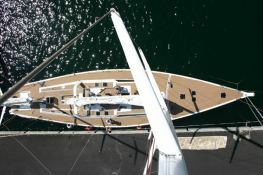 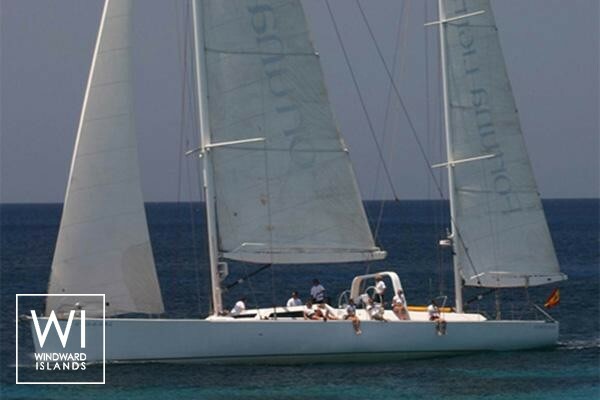 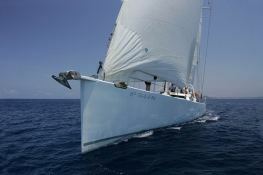 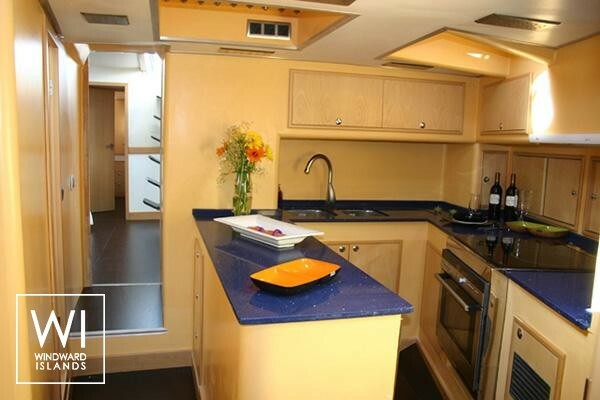 Fortuna is a very fast yacht originally designed for regattas and which has just undergone an 18-month refit. 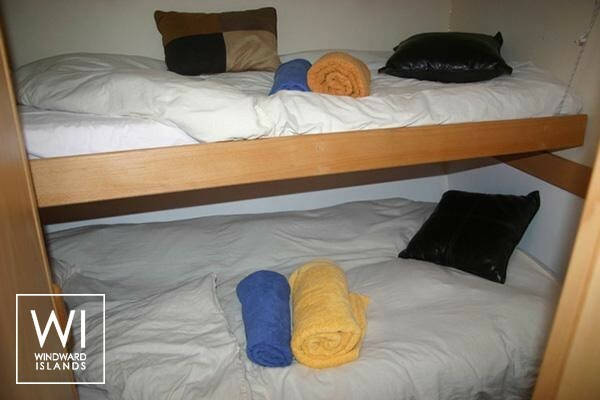 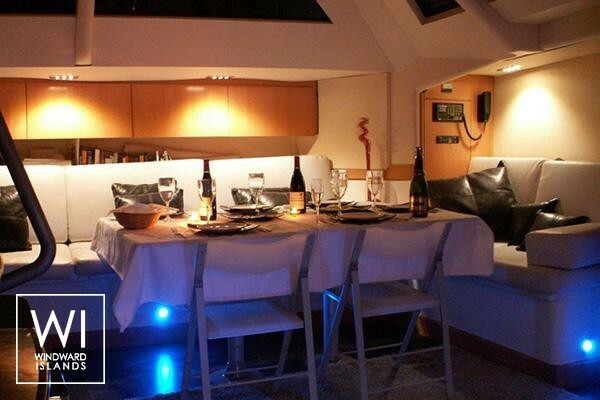 On deck there are 3 differents areas: aft there is a wonderful open space for sunbathing and relaxing and there are also 2 tables, ideal for meals; midships there is another area to relax with a table for up to 10 persons; the forward area is another wonderful place to relax on sun matresses. 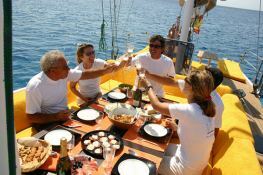 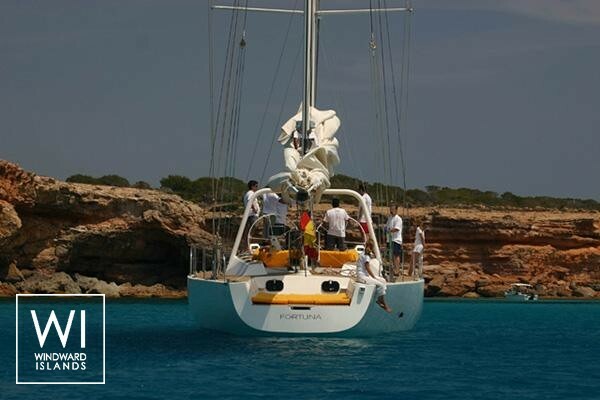 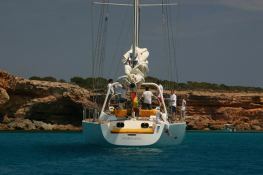 Fortuna is ideal for large groups and for clients who want a large, confortable and especially fast boat.This crewed sailing yacht is available for yacht charter with a base price of 17 136 € (approximatly 19 325 $).